A constant cheer-up in my life is internet shopping, I rarely buy anything but wishing for pretty outfits and accessories gives me a reason to save. Frankie Sunshine has an adorable online boutique that I frequent and the new "Winter Hearts" collection is so gorgeous. 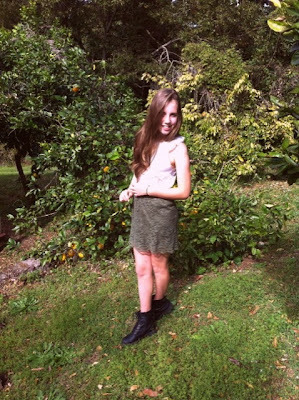 I included a slide show of the photos (to view properly, press "View in fullscreen") courtesy of the Frankie Sunshine website/online shop, and an outfit update (not a photo shoot) of what I wore to my flute competition. By the way, for those who asked, I performed Dance of the Little Swans and Sonata in E minor, not winning anything but I getting a plausible mark (I am quite ambitious). Happy Monday! Hi dear, thank you for fallowing my blog, your blog is lovely, you have an awesome style, and I’m now a follower! That is a really cute outfit! I love it completely! I really like your blog we should follow each other!